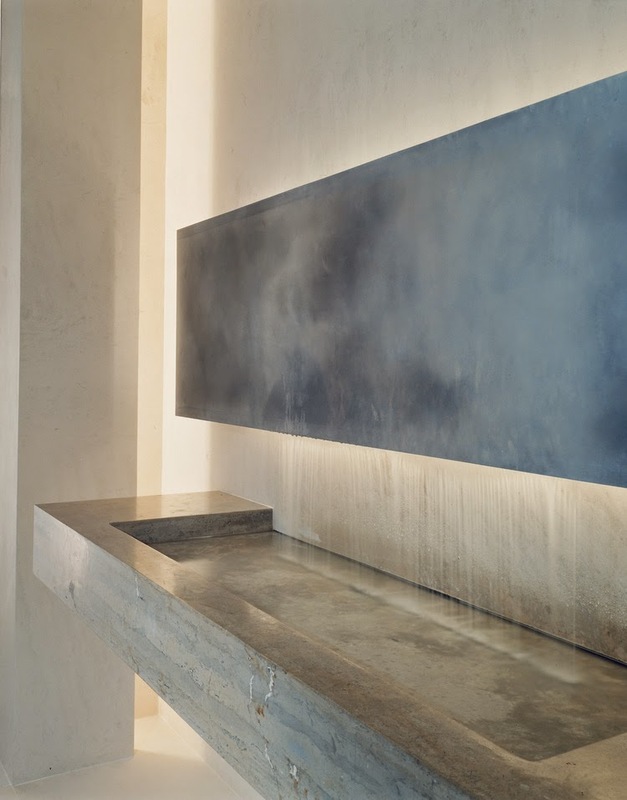 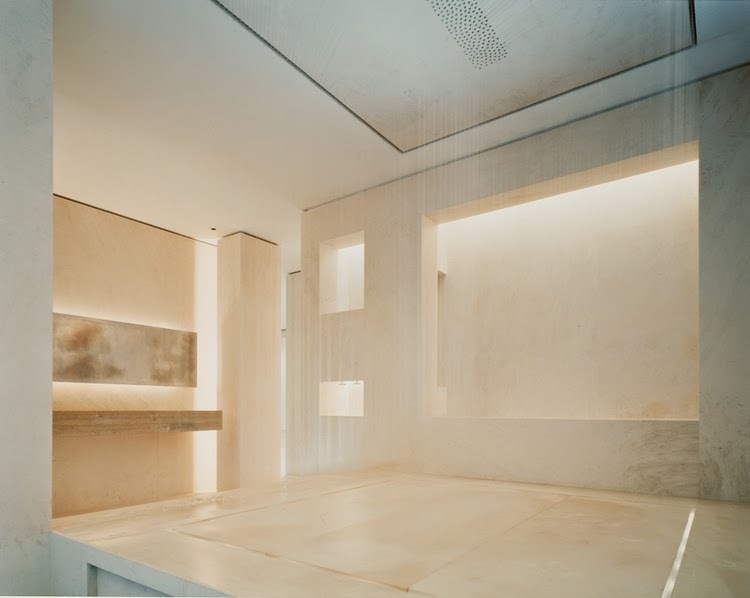 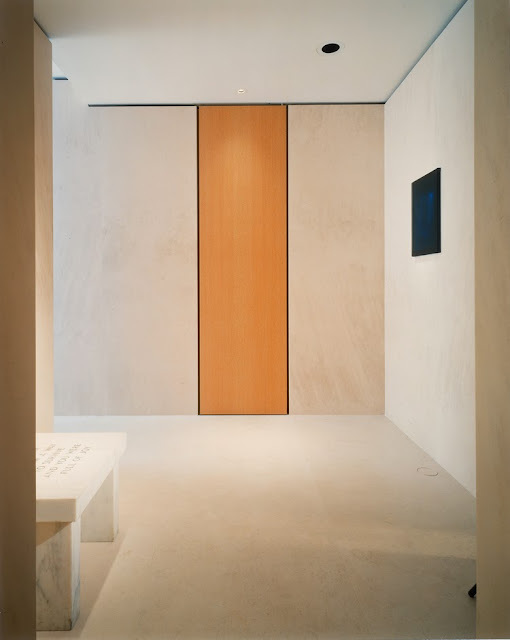 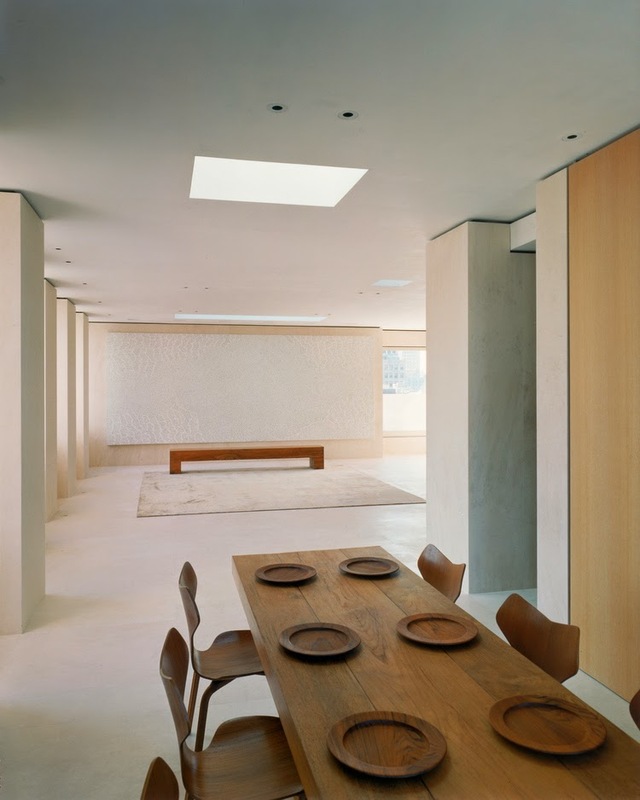 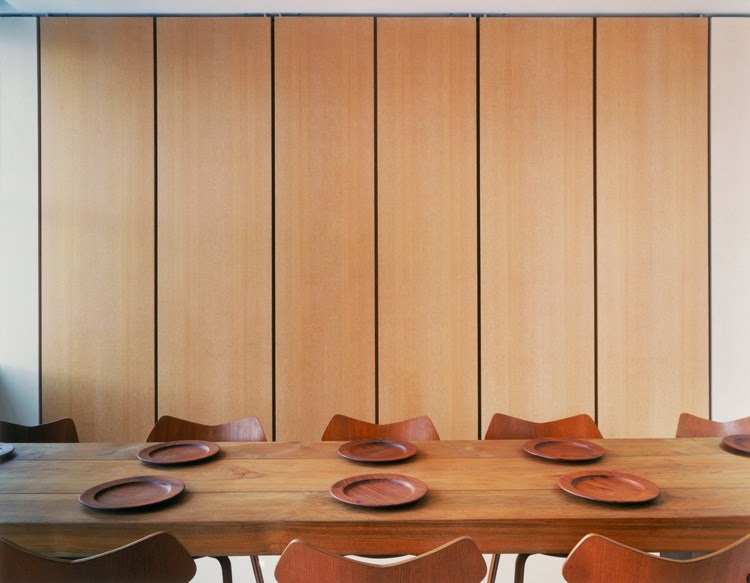 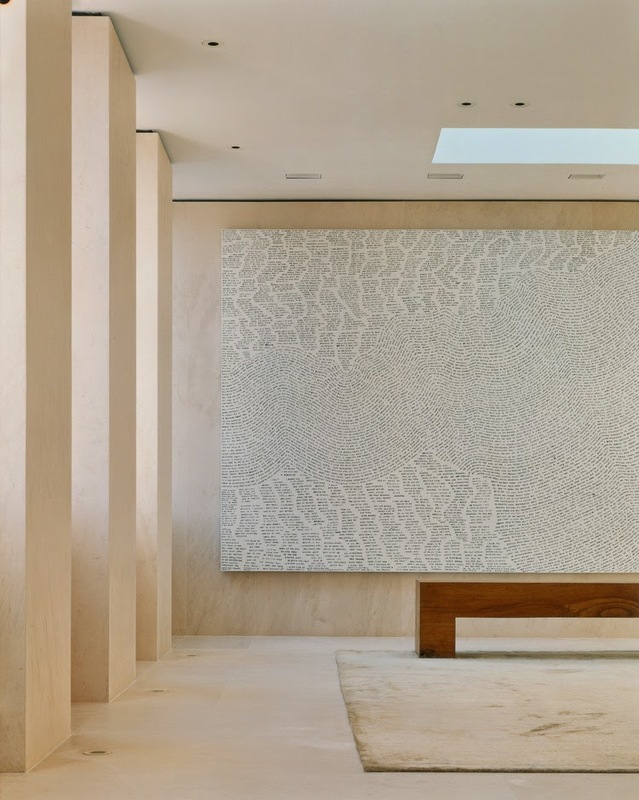 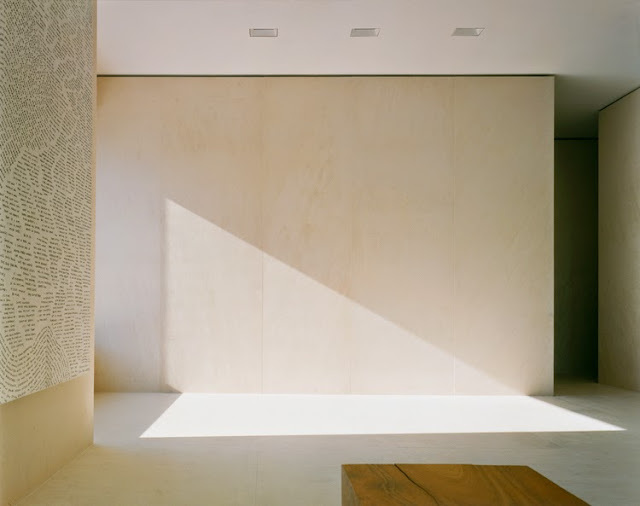 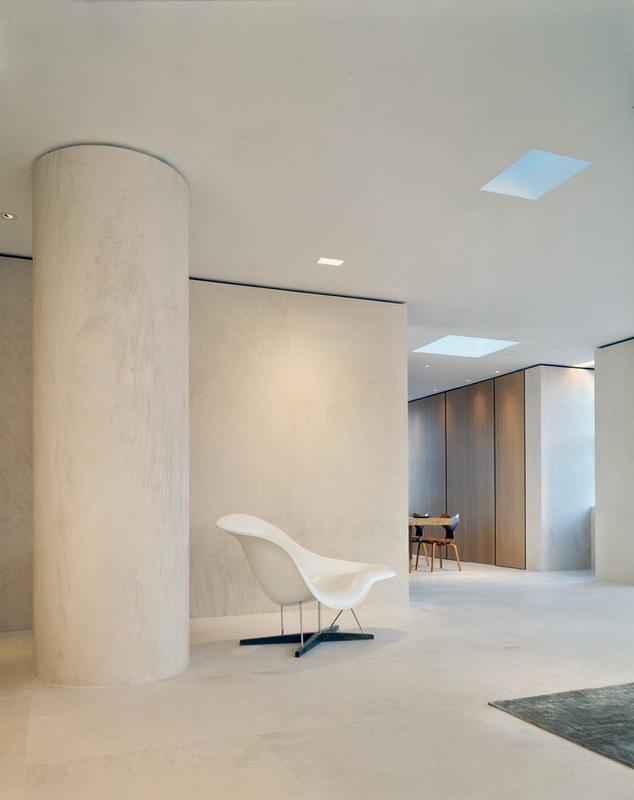 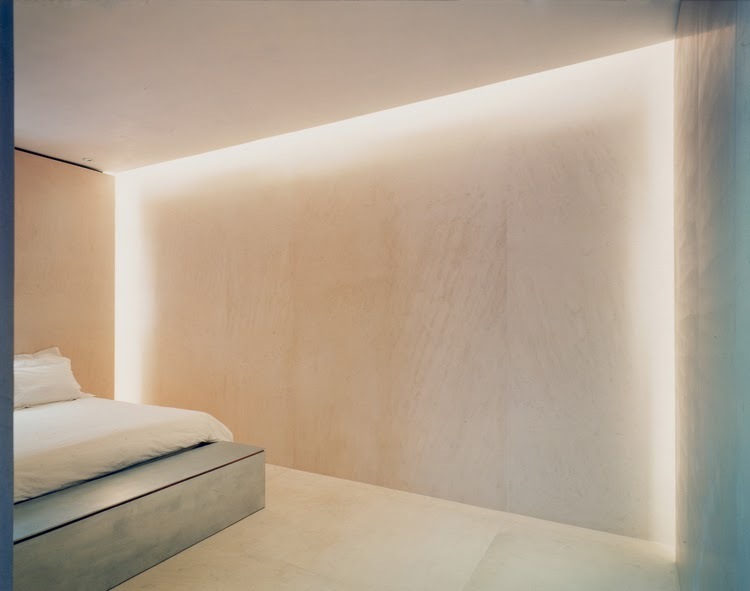 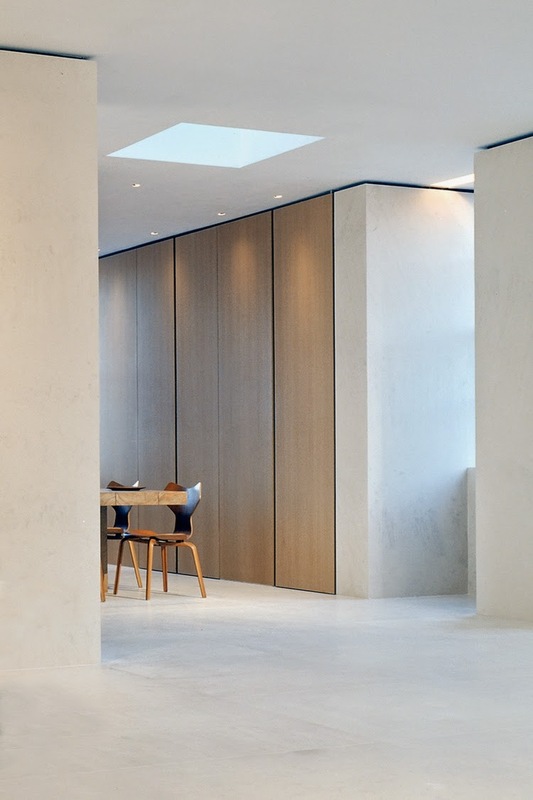 Architect Sam Trimble of Trimble Architecture designed this stunning minimalist loft in the Manhattan neighborhood of Tribeca to become the New York home of Saatchi & Saatchi CEO Kevin Roberts and his family. 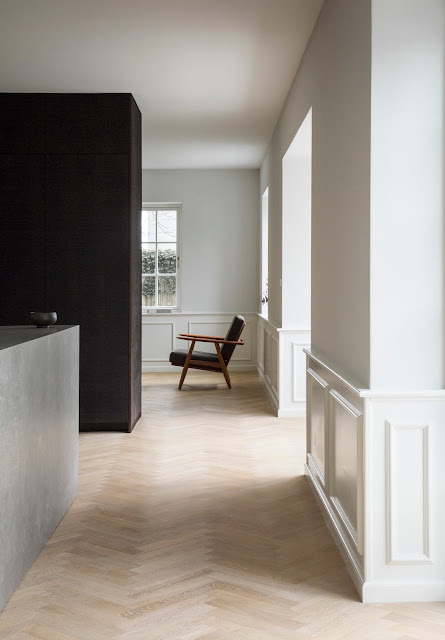 “Nothing is Impossible”, the famous Saatchi & Saatchi company's motto is highly expressed in this apartment’s substantial simplicity and sensual detailing. 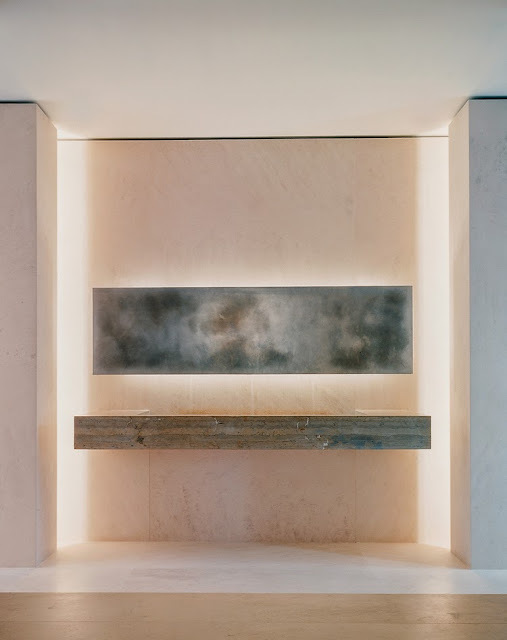 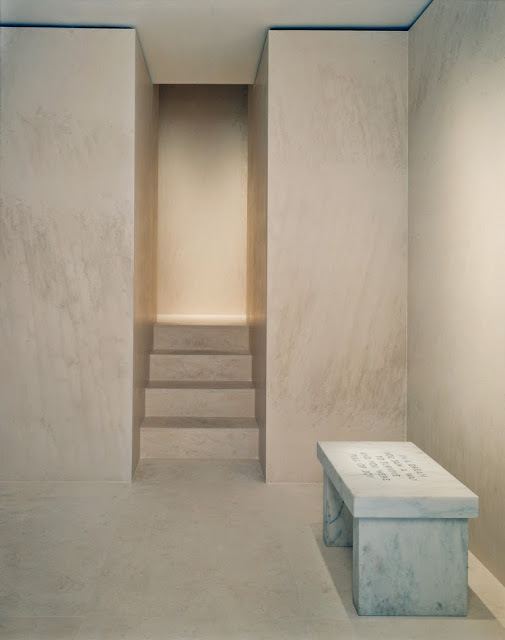 The interior, inspired by archetypical tectonic caves, features floors and walls in slabs of limestone. 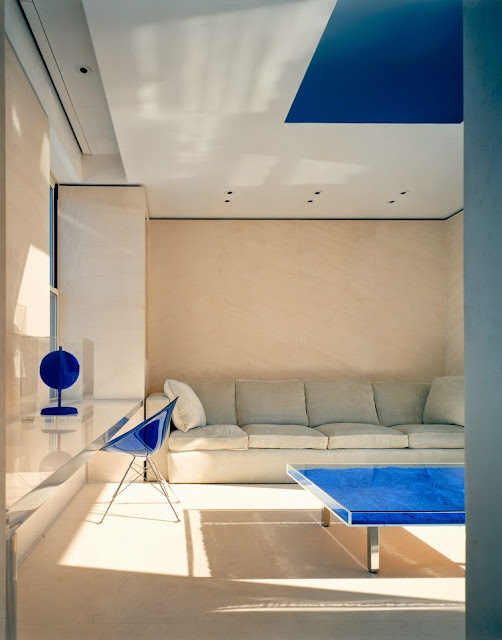 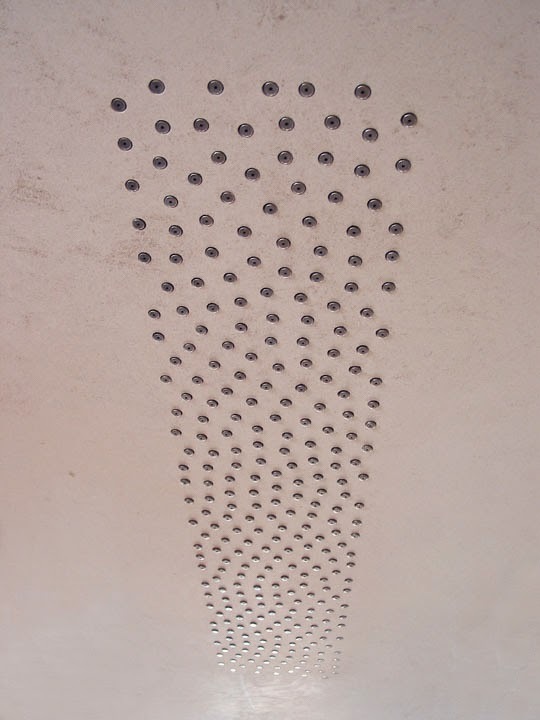 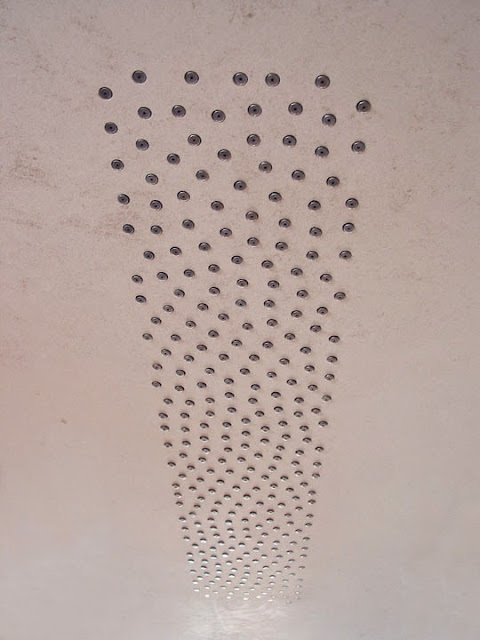 The unique atmosphere is completed with signature items from designers such as Arne Jacobsen and Charles Eames, together with works of art from artists Jenny Holzer, Yves Klein, James Turrell and Sean Landers. “Tribeca loft for Kevin Roberts, the CEO of Saatchi + Saatchi worldwide. 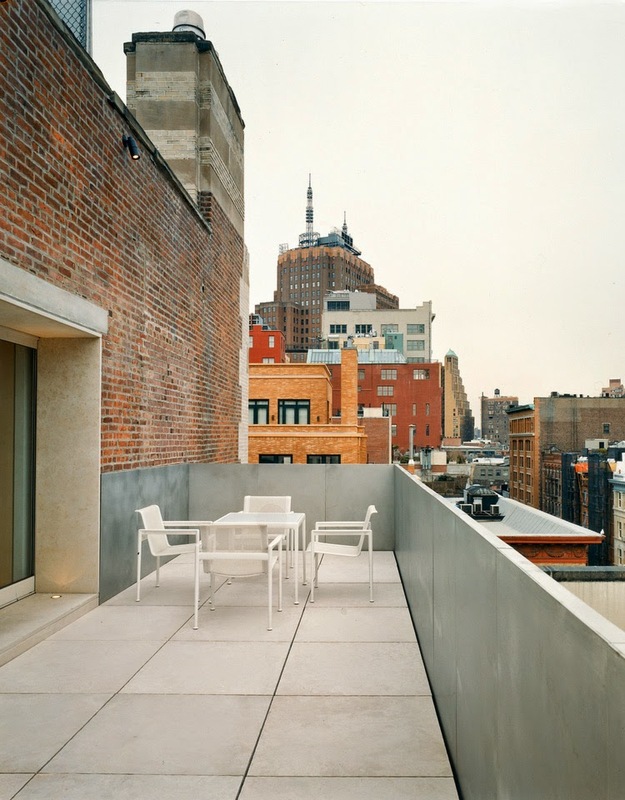 For more, visit Trimble Architecture portfolio.